Should the expression be "You can keep a good thing up?" It is more positive than "You can't keep a good man down." 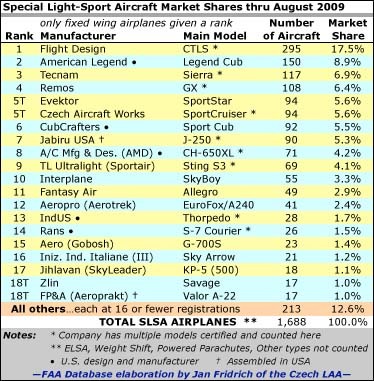 Up, in this case, is CubCrafters and their climb in market share rank. The Yakima, Washington company logged another record year in 2013 and hit an impressive benchmark as the engines of demand and production paint a picture of a revved-up juggernaut. Congratulations to CubCrafters but the real reward for their team is a steady stream of customers that are convinced by the innovative re-creation of one of aviation's most iconic designs. Among many smart decisions was the addition of the big 180-horsepower Titan 340CC engine, built by ECi, which gives the machine such exciting performance. I wonder if William Piper ever envisioned a CarbonCub SS. 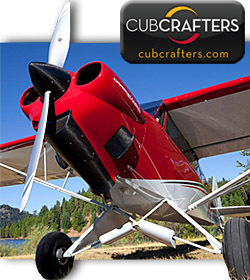 CubCrafters delivered 63 new airplanes during 2013, soundly beating their solid performance of 48 CubCrafters in 2012. 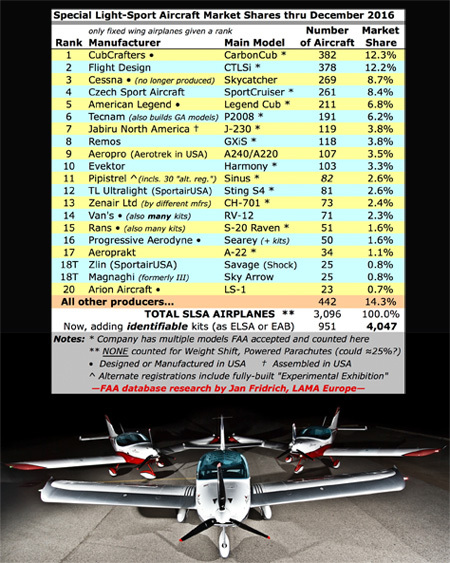 For LSA enthusiasts, the total number reduces by nine Top Cub units that are not aimed at the Light-Sport space, but that still leaves two Sport Cub models and 52 Carbon Cub Special LSA. That means a 12.5% growth in LSA sales and a new record for the company. 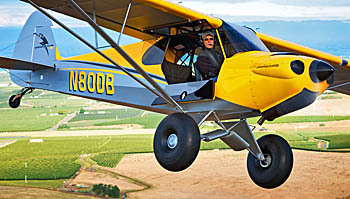 CubCrafters also increased shipments of its Carbon Cub EX kit-built models by 50% over last year, marking a record for the company's Experimental Amateur Built kit program as well. While many producers are still struggling to climb out of the Great Recession (that supposedly ended more than four years ago), CubCrafters must be saying, "What recession?!" The company reached another milestone by delivering its 300th CC11 aircraft in January of 2014 (photo). 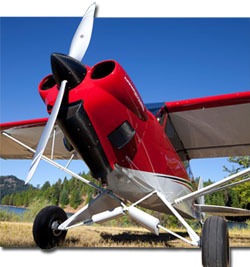 CubCrafters' CC11 family includes the popular Carbon Cub SS and Sport Cub S2 LSA models. "Serial Number 300 is a handsome Carbon Cub SS in Volcano Red bound for Idaho," noted CubCrafters. The company is growing so solidly that changes are needed. 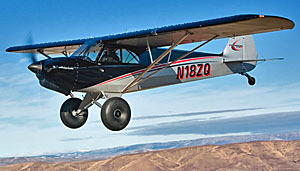 "As of [early March 2014], the next delivery position for a ready-to-fly airplane is in late August and new buyers of the Carbon Cub EX Kit can expect shipment in May. CubCrafters' continued sales growth "has stretched the company's manufacturing facilities to the limit," officials reported. All manufacturing and assembly occurs in the company's three buildings encompassing 40,000 square feet. "Across the past four years we've done a great job of refining our processes," commented Jim Richmond, Founder and CEO of CubCrafters. "However, we've reached a point where our limited space will impede efficiency." To address this predicament, the company said that it purchased a 23-acre parcel adjacent to McAllister Airport in Yakima and has broken ground on a new composites fabrication shop. "The expansion will allow us to devote more space to composites, parts and kits, thereby affording an overall increase in production. Looking forward, the new property will accommodate additional construction as our needs grow." Should the expression be “You can keep a good thing up?” It is more positive than “You can’t keep a good man down.” Up, in this case, is CubCrafters and their climb in market share rank. The Yakima, Washington company logged another record year in 2013 and hit an impressive benchmark as the engines of demand and production paint a picture of a revved-up juggernaut. Congratulations to CubCrafters but the real reward for their team is a steady stream of customers that are convinced by the innovative re-creation of one of aviation’s most iconic designs. Among many smart decisions was the addition of the big 180-horsepower Titan 340CC engine, built by ECi, which gives the machine such exciting performance. I wonder if William Piper ever envisioned a CarbonCub SS. 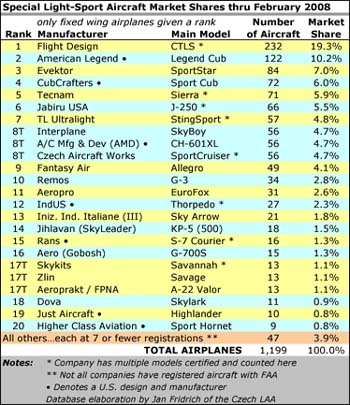 CubCrafters delivered 63 new airplanes during 2013, soundly beating their solid performance of 48 CubCrafters in 2012. Plenty of aviation companies, certainly in the light end of the industry, are happy to welcome a new dealer. CubCrafters elevates this position to a certified sales center and the Yakima, Washington company recently secured a new one fleshing out their national map more fully (graphic). CubCrafters announced the appointment of Innovation Aircraft Sales (IAS) as their new Certified Sales Center covering the Midwestern United States. 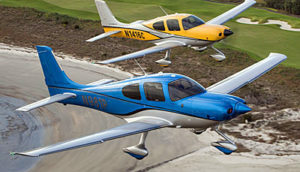 IAS is now the exclusive authorized dealer for new and pre-owned CubCrafters aircraft including the Sport Cub S2 and Carbon Cub SS LSA models, as well as the Part 23-certified Top Cub. IAS will serve North & South Dakota, Minnesota, Iowa, Kansas, Missouri, southern Illinois and most of Nebraska from their base at Creve Coeur Airport (1H0) in St. Louis. The LSA manufacturer announced facts about their newest outlet. As President and CEO of Innovation, Jeff Baber began his association with CubCrafters at SunCountry Aircraft Sales in 2012. SunCountry is CubCrafters' Certified Sales Center in Arizona. 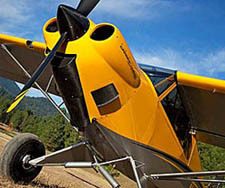 "We founded SunCountry in 2001 to provide aircraft services, flight instruction and sales of pre-owned aircraft," Jeff says, "but the business really took off in 2011 when CubCrafters chose us to sell their backcountry airplanes. We quickly realized that, with CubCrafters, we could expand our business model in terms of size and reach." Given his successful foundation and growth in Arizona, Baber reportedly jumped on the opportunity to extend the business in the Midwestern States. "When I learned that CubCrafters was making a change here, I immediately submitted a business plan for our new company, Innovation Aircraft Sales." Both Jeff and his wife, Serene, are from Missouri and have family in that state. Further, Serene is a finance executive at another major aviation manufacturer, and she had a position waiting for her in St. Louis, so the move was an easy one. "Our priority for the selection of IAS was customer service," said Randy Lervold, General Manager at CubCrafters. "Making a change like this is never easy. Our dealers provide a high level of customer service by virtue of their deep experience with CubCrafters' product line. Innovation delivers an uncommon fusion of familiarity, know-how and professionalism. We feel fortunate that Jeff and company have decided to bring their expertise to the territory." Beside selling new and used CubCrafters aircraft, Innovation also sells aircraft from other brands. SunCountry Aircraft Sales will continue their operations as the exclusive CubCrafters Certified Sales Center in Mesa, Arizona under the direction of Rick Bosshardt,. CubCrafters indicated. Plenty of aviation companies, certainly in the light end of the industry, are happy to welcome a new dealer. CubCrafters elevates this position to a certified sales center and the Yakima, Washington company recently secured a new one fleshing out their national map more fully (graphic). CubCrafters announced the appointment of Innovation Aircraft Sales (IAS) as their new Certified Sales Center covering the Midwestern United States. 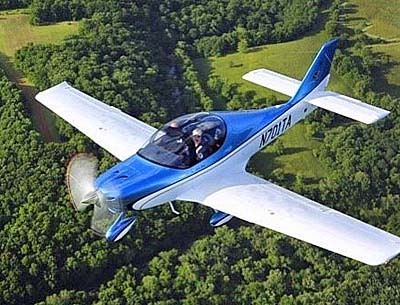 IAS is now the exclusive authorized dealer for new and pre-owned CubCrafters aircraft including the Sport Cub S2 and Carbon Cub SS LSA models, as well as the Part 23-certified Top Cub. IAS will serve North & South Dakota, Minnesota, Iowa, Kansas, Missouri, southern Illinois and most of Nebraska from their base at Creve Coeur Airport (1H0) in St. Louis. The LSA manufacturer announced facts about their newest outlet. As President and CEO of Innovation, Jeff Baber began his association with CubCrafters at SunCountry Aircraft Sales in 2012. CubCrafters stylish instrument panel is available in three configurations; this is the World VFR setup selling for $14,990. 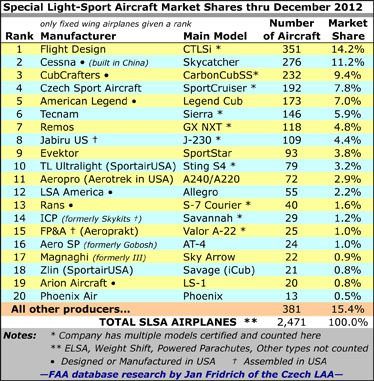 Top selling aircraft models in the LSA space over the last couple years are manufactured by CubCrafters. It’s not too strong to say they’ve done well because the Yakima, Washington company got the formula right: Start with an iconic design; add features the original Piper version never dreamed of having; pump it up with lots more power; add in a finer finish, modern materials, and instruments; upgrade it steadily; and finish by doing it all in the USA. 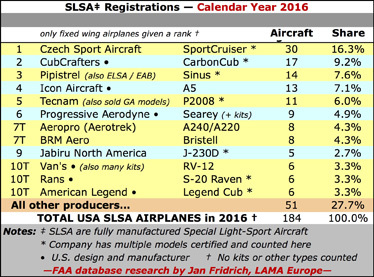 To continue building on the best performance among any LSA producer, the company announced a range of updates for their Carbon Cub SS and Sport Cub S2 Light-Sport Aircraft for 2014. Soon we’ll release the first market share stats of 2013 and through the first nine months of the year CubCrafters has a clear lead. Last year, Cessna registered more aircraft but the Wichita giant has been completely quiet in 2013 giving room for CubCrafters to soar. 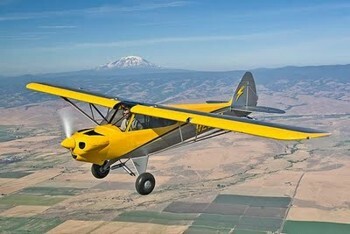 CubCrafters’ 180-hp Carbon Cub SS… Hoo Rah! Refueling Carbon Cub SS involves standing on a tire and the entry step; no ladder required as Rare Aircraft's Ben Redman demonstrates. You can fly Carbon Cub SS with one window open, including the door if you like. Finish quality and components are excellent on Carbon Cub SS. The Heart of America Sport Aviation Classic is history. Weather and first year challenges conspired to keep the event from achieving its true potential, which illustrates the task of creating a "new Sebring" LSA Expo. These small venues have outsize appeal because they are much more intimate than the big airshows with their tens or hundreds of thousands of attendees. You can talk at length with aircraft sellers and taking a demo flight is... well, it's practically the whole point. So we did. We were able to perform a full video pilot report on the CubCrafters Carbon Cub SS. Update 10/9/12; video appears below — The west coast company's popular model with a potent 180-horsepower engine leaps off the runway with such enthusiasm it can appear a visual trick. Both my videographer and I had a chance to fly with CubCrafters dealer and Rare Aircraft vintage aircraft restoration partner, Ben Redman. We logged in-flight video, ground video, and did a video recap at the end with Dave and I comparing thoughts. Here is the essence of what we discovered. Right off the bat, takeoff behind 180 horses is a hoot! If you've seen a demo, what you see is pretty much what you get except that in the pilot's seat it's even more fun. 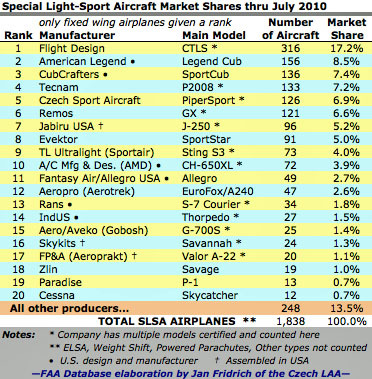 CubCrafters has performed well in climbing our market share chart and the sheer power of this LSA has to be one of the main reasons. Ben advised I add in full power smoothly. You instantly roar down the runway. Dave found you hardly need to lift the tail — a normal taildragger technique — as the power does it for you. I did lift the tail, but almost in one motion, I then began to pull back on the joystick and it is literally a second or two before the mains are leaving the ground. We climbed like a SpaceX rocket and clocked more than a thousand feet before reaching the end of the runway. Once aloft, Ben suggested we throttle back to about 1700 rpm where we could pretend we were in an authentic (meaning 60-year-old) Cub, putt-putting along at about 60 mph. It was quite pleasant. You can open either window, though the Pilots Operating Handbook says not both at once. Ben prefers to open the right window plus the door. Had it been a warm summer day, I definitely would have given this a try. Though it can act like a old Piper Cub, it certainly is not one. You can have a digital panel if you wish. You have all the amenities of any modern airplane. Plus, the interior finish of the Carbon Cub SS is exquisite. As its name implies, carbon fiber has been widely used to restrain the weight of this largish airplane to stay within the LSA parameters. Of course, you pay for the company's effort to hold weight down while giving you the goodies. Carbon Cub SS starts at $173,000 and I'm told plenty of them hit or break $200 grand. That's a lot of dough for an LSA but you do get a remarkably well finished and equipped aircraft. Handling was pleasant with a need to use the rudder pedals lightly and the joystick a bit more assertively. My early dutch rolls were a tad sloppy but improved quickly. Stalls were very mild, with an audible horn and a muted drop of the nose. Recovery was very quick. Steeps turns usually require a touch of power and in Carbon Cub SS, "a touch" is literal; I made a tiny movement of the nearby throttle to find myself climbing 500 fpm. Still, it's easy to get used to this much power. My three-point landing went very well with Carbon Cub SS staying planted firmly (assuming you've kept your speed below 60 mph at touchdown). On the taxi back, I found I could see over the nose easily from the front seat, though from the rear, Dave said you have to fishtail back and forth. Shorter folks will find this a bit challenging but normally you'll solo up front. We'll relate more on the video pilot report that appears below and on our LSA Video page. The Heart of America Sport Aviation Classic is history. 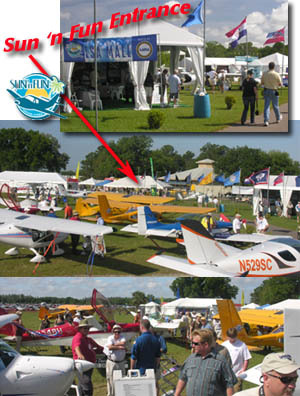 Weather and first year challenges conspired to keep the event from achieving its true potential, which illustrates the task of creating a “new Sebring” LSA Expo. These small venues have outsize appeal because they are much more intimate than the big airshows with their tens or hundreds of thousands of attendees. You can talk at length with aircraft sellers and taking a demo flight is… well, it’s practically the whole point. So we did. We were able to perform a full video pilot report on the CubCrafters Carbon Cub SS. Update 10/9/12; video appears below — The west coast company’s popular model with a potent 180-horsepower engine leaps off the runway with such enthusiasm it can appear a visual trick. Both my videographer and I had a chance to fly with CubCrafters dealer and Rare Aircraft vintage aircraft restoration partner, Ben Redman. Just talked with CubCrafter’s PR head Jon Bliss to check out the haps on the left coast – Yakima, WA to be exact – with the company’s Super SportCub and other Cubalike models. *** “We’re doing as well as we’ve done in a long time,” says Jon. “We’ve even got a backlog of orders.” *** As I said some months ago: *** Bad economy – bah! *** CubCrafters expects to move 50 LSA total out the door next year (2010), with the ASTM-certified (spring of ’09) Super garnering most of the orders. *** If you’ve got a Cub in your dreams, it’s worth checking out the Super, especially if eye-popping takeoff/climb performance is on your wish list. 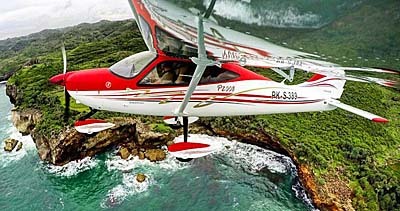 *** The airplane sports the company’s own CC340, high-compression, electronic-ignition engine. News here is, and it’s allowed for in the ASTM spec, that the engine can be run at 180hp for as long as five minutes, then must be throttled back to 80 hp for cruise (around 5 gal/hr fuel burn) to keep it in the LSA-legal performance envelope.